Single core cable should be unarmored? Is it true that single core cable should be unarmored because eddy currents are induced in armor of single core cable which will cause additional losses? If true then why not three core cables also unarmored and why single core armored cables manufactured at all. In this scenario one phase induces eddy current in the armor and in three phases it is not there as the flux of all the three phases cancel each other so armoring is required what is the solution, we can use non Ferromagnetic substance for armoring. Aluminium Wire Armor (AWA) and Galvanized Steel Wire (GSW) are offered as standard mechanical protection for single and three core cables respectively. Non ferromagnetic materials must be used on single core cables. As the magnetic field travels through any protection layers on single core cables, a ferromagnetic material such as steel will have significant eddy current losses induced in the wires causing significant heating of the cable and subsequent derating of its current carrying capacity.The same principle applies when selecting cable clamps. Even if a single core cable is armored with ferromagnetic material like steel then three single core cable has to be laid in trefoil arrangement so that the flux of all the three single core cable cancel each other as happens in three core cable. What type of armor should be used, wire or strip armor and when? As per bureau of Indian standards no 7098 part-2 clause 16.2 Type of Armor – Where the calculated diameter below armoring does not exceed 13 mm, the armor shall consist of galvanized round steel wires. The armor of cables having calculated diameter below armoring greater than 13 mm shall consist of either galvanized round steel wires or galvanized steel strips. What are the required conditions for earthed system? Neutral point or the mid-point connection is earthed in such a manner that, even under fault conditions, the maximum voltage that can occur between any conductor and the earth does not exceed 80 percent of the nominal system voltage. The neutral-point or the mid-point connection is not earthed but a protective device is installed which automatically cuts out any part of the system which accidently becomes earthed. In case of ac systems only, the neutral-point is earthed through an arc suppression coil with arrangement for isolation within 1 h of occurrence of the fault for the non-radial field cables and within 8 hours for radial cables, provided that the total of such periods in a year does not exceed 125 hours. What are the required conditions for unearthed system? An electric system which does not fulfill the requirement of the earthed system is unearthed system. What is meant by earth grade of cables? Earth grade of a cable is parameter which governs the degree of sufficient separation between the conductor and the nearest electrical ground to preclude dielectric failure and makes sure that the required thickness of insulation, to physically protect the conductor, is more than adequate for required dielectric strength. 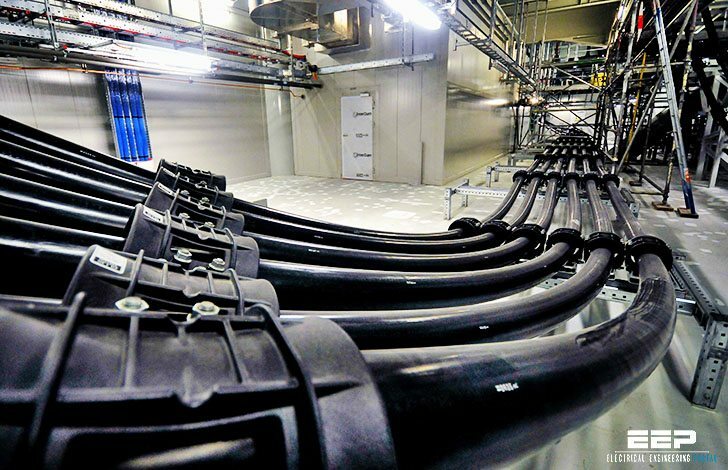 For cables to be used in solidly earthed system, the phase conductor to armor insulation has to be rated for VL/√3 volts that is phase to ground voltage only. This earth grade is to be adopted when the system is solidly earthed without any intentional resistance or inductance in neutral circuit. In case the system is resistance/inductance earthed or unearthed, the phase to ground voltage of two healthy phases rises to approximately phase to phase voltage when earth fault occurs in the third phase. The phase to ground voltage of healthy phase comes very close to or attains phase to phase value depending upon the degree of effectiveness of system neutral earthing. 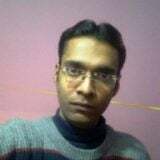 Hence phase conductor to armor insulation of cables used in unearthed or resistance/inductance earthed system should be rated for full phase to phase voltage instead of VL/√3. For example in case of 6.6kV unearthed or resistance earthed system 6.6kV/6.6kV UE class cables should be used while 6.6kV/3.85kV E class cables are adequate for solidly earthed system. So insulation class of cables of any particular voltage level for unearthed system is equivalent to insulation class of next voltage level of earthed system. So now question is for 6.6kV resistance earthed system can we use 11kV/6.35kV E class cables? Since for the selected cable phase to phase voltage is 11kV and phase to ground voltage is 11kV/√3=6.35kV, which is lesser than the phase to phase voltage of 6.6kV system and hence during earth fault in one phase the insulation of healthy phase may prove to be insufficient. Cables of 6.35/11 kV grade (earthed system) are suitable for use on 6.6/6.6 kV (unearthed system) also. The cables conforming to this standard may be operated continuously at a power frequency voltage 10 percent higher than rated voltage. Under Rule 54 of the Indian Electricity Rules 1956, in case of high voltage, the permissible variation of declared voltage at the point of commencement of supply is +6 & -9 percent. How many types of cable faults are there & how are they diagnosed? Series fault occur where the continuity one or more of metallic element (i.e. conductor or sheath) of cable is impaired. Usually series faults only become apparent when continuity has been completely lost at least in one conductor, to cause an open circuit fault. Shunt fault occur where the insulation of one or more conductor is damaged. The most common type of shunt fault is single phase to earth fault. On screened cables, all shunt faults are earth faults. Usually the first indication of the possible existence of a fault is given by the automatic operation of the circuit protection. The faulty cable should be disconnected from the other electrical equipments and is retested for confirmation of fault in insulation by applying D.C. High voltage or by Megger. Facts about interface cabling between control & instrumentation and electrical for any power plant or process plant. Those C&I cables which are to be considered by electrical group. They are mainly control/indication/annunciation related cables. Those C&I cables which are to be considered by Instrumentation group. Special cables for interface between PLC/Relay based control panel (in local control room to) and main plant DCS or ECP. In most cases nature of such cables is Fiber optics because of large amount of data to be carried over a large distance. Cables between PLC and MCC for analog and binary signals. Nature of such cables is usually paired cables, which may be twisted or untwisted pair. Engineering including scheduling with terminal details and interconnection diagram, procurement and erection of above mentioned two types of C&I cables is carried out by electrical group. Paired cable from PLC to instrument JB in the local instrument rack or enclosure in the field. Paired cables between Instrument JB in the local instrument rack or enclosure to field instruments. Paired cable between PLC & packaged vendor panels like VMS (Vibration monitoring system), IPR & SOV. Paired cable between above mentioned packaged vendor panels to Junction box in field. Special cables between field junction box to individual instruments by packaged vendors like vibration sensors. Paired cable between PLC to modulating drives. Paired cable between bidirectional drive to PLC. Cables between GPS clock system (for time synchronization) and PLC/SCADA. Please note that the target of such time synchronization of DCS or PLCs (located geographically apart) with GPS is that, if we have more than one controller system, by default each system will have its clock adjusted individually from the PC which downloaded the program in the system, so if any trip or trouble occur in the system and all the system doesn’t have the same time, the reports will be messy and confused about at which time the problem occur due to difference in reporting time. So a main controller or GPS signal is send to every control system in a specified time so that every system readjusts its clock and has same time in terms of hour minute and seconds. Cables mentioned in point number-II are the only two types of instrumentation cable which electrical group considers and engineering done thereby requires interface & coordination with C&I department. Eight types of cables mentioned in point number-III, should not be considered by electrical group of any project. These cables are exclusively C&I cables and entire engineering & procurement is to be carried out by C&I department. Download cable block diagram in PDF. useful post thanks for contribution for this blog thanks to every one..
i came across this web site accidentally, was not so happy initially but later I found the EEP site helpful and useful. I am pleased to receive its weekly posts and trees therefrom. Thanks to EEP people. Wish you good luck and evolution in future. a normal micc cable and a tiwisted pair micc cable can be connected with the same circuit ..o? or it lead losses ? what about the grounding of the armor. one side or two side, any standard for this ? Hi cheers to EEP team. It will be good if you can provide information on preparation of Bill of materials from SLD, including design of complete electrical components.